Haha love it! Very funny...Moral....don't ever by a presigned edition...it was probably falsified! 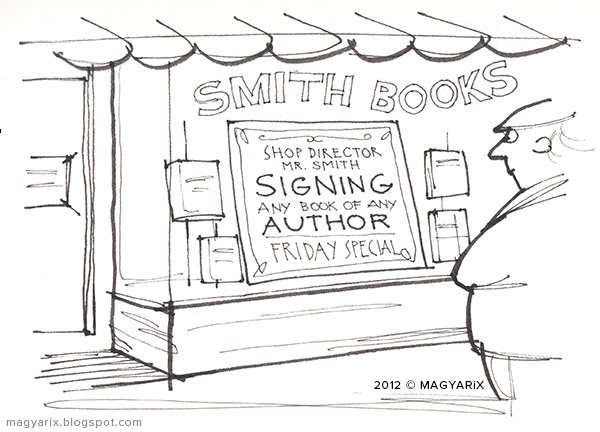 Sir, you asked if the book I was selling you was 'signed'. You didn't ask by whom. This is a good statement about the ethical bar being lowered everywhere today.